WHO WAS NURSE MATILDA MACELROY? “As you know in July, 1947, the Roswell Army Air Field (RAAF) issued a press release stating that personnel from the field’s 509th Bomb Group had recovered a crashed “flying disc” from a ranch near Roswell, New Mexico, sparking intense media interest. Later the same day, the Commanding General of the Eighth Air Force stated that Major Jesse Marcel, who was involved with the original recovery of the debris, had recovered only the tattered remnants of a weather balloon. The true facts of the incident have been suppressed by the United States government since then.You may not know that I was enlisted in the U.S. Women’s Army Air Force (WAC) Medical Corp which was a part of the US Army back then. I was assigned to the 509th Bomb Group as a Flight Nurse at the time of the incident. When the news that there had been a crash was received at the base, I was asked to accompany Mr. Cavitt, the Counter Intelligence Officer, to the crash site as the driver of his vehicle, and to render any needed emergency medical assistance to any survivors, if necessary. Therefore, I briefly witnessed the wreckage of an alien space craft, as well as the remains of the several alien personnel aboard the craft who were already dead.When we arrived I learned that one of the personnel on board the craft had survived the crash, and was conscious, and apparently uninjured. The conscious alien was similar in appearance, but not the same as, the others. Although I was never left entirely alone with the alien, as there were always military personnel, intelligence agency people and a variety of other officials present from time to time, I did have uninterrupted access to and communication with the alien being for nearly six weeks. — Excerpted from the letters received from Nurse “Matilda MacElroy”, published in the book ALIEN INTERVIEW, edited by Lawrence R. Spencer. To my personal knowledge the actual name and identity of “Nurse MacElroy” ( Nurse X ) has never been documented, as she was, apparently, transferred away from the 509th Bomb Group after the alien pilot died and given a new, secret identity. However, other researchers have discovered witnesses as to the possible identity of several nurses who are known to have been stationed at the base during July, 1947. What follows is an excerpt from http://www.roswellproof.com, which contains detailed information about the crash and cover-up of this incident. The several nurses referred to in the following article are referred to as “NURSE X”. Could any of these persons be the true identity of “Matilda MacElroy”? “David Wagnon, who was a young medical technician at the base hospital, remembered the young, attractive nurse fitting Dennis’ (and perhaps Pete Anaya’s) description. Oddly Wagon also selected the name “Naomi Self” out of a lineup of possible names. However, when shown the known nurses from the base yearbook, Wagnon selected 1st Lt. Adeline “Eileen” Fanton as the nurse he remembered. (photo right) Besides her physical description, many aspects of her history match up with what Dennis ascribed to Nurse X. Two other witnesses also suggest Dennis may have known Fanton well. Bob Wolf, a minority owner of KGFL radio in Roswell, said it was known that Dennis was seeing a base nurse fitting Fanton’s description. Sgt. LeRoy Lang said he trained Fanton in firearms use and saw Fanton and Dennis together on the base on a number of occasions. Another possible candidate for Nurse X was Miriam “Andrea” Bush, 27-year-old secretary of the hospital administrator, Lt. Col. Harold Warne. In the 2007 book, Witness to Roswell by Tom Carey and Donald Schmitt (Chapt. 12), hers is one of two other witness accounts of aliens at the base hospital besides Dennis’. A picture of Miriam Bush is also in the book (right). Like Fanton, she was short and petite with dark hair. According to her sister Jean and brother George, Miriam Bush came home one night in a state of total shock. Finally she said that there were a lot of strange medical personnel at the hospital she didn’t recognize and who ignored the regular medical staff. Later Warne would take her to an examination room and she saw several small childlike bodies. One was moving. Their skin was grayish to brown and they were covered in something like white linens. Their heads and eyes were large. The next day she came home and said nobody was ever to say anything further about it. The family thought she had been very heavily threatened. They said the event so traumatized her that it ruined her life. She died under suspicious circumstances in 1989, with bruises covering her arms, but ruled a suicide by suffocating herself with plastic bag tied round her head. Miriam Bush’s sister-in-law, about her death and seeing an alien move. Yet another good candidate for Nurse X was Mary Crowley Lowe. In 1998, Tom Carey was tipped off to her existence by friends of hers, Mr. and Mrs. Charles Huttanus. In 1960, Mrs. Huttanus had been a civilian employee at the base (now named Walker Air Force Base), where Lowe was also employed. Mrs. Huttanus claimed, much to her shock, that Mary Lowe told her, “Back in 1947, I was a nurse and happened to be at the hospital when the aliens from the UFO crash were brought in.” Huttanus said Lowe would say no more. The Hutanuses refused to identifiy the woman and added that she would deny the story even if she was located. However, they did inadvertantly leave a significant clue indicating she still lived in Roswell and that her husband was employed as a golf pro there at New Mexico Military Institute. With a little sleuthing, she was quickly identified as Mary Lowe. Carey and Schmitt decided to have an associate, UFO historian Wendy Connors, approach Lowe in July 1999, believing a woman might have a better chance at gaining her trust. Connors was invited in for a two-hour chat, but Mary Lowe denied being at the base in 1947, saying she was an Army nurse stationed in Scotland at the time (similar to Dennis’ story of her being sent to England immediately afterwards). 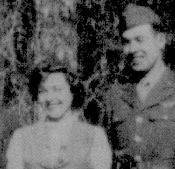 However, her Army records indicated she was supposedly discharged in 1946 for marrying an enlisted man. (Military regulations then forbade officers and enlisted people marrying one another.) There was no explanation for the discrepancy. When Connors asked Lowe if she had been at the base hospital in July 1947, Connors reported Lowe wanted to know if Glenn Dennis had been her informant. She was also very interested in Glenn Dennis’ affidavit, which Connors read to her, while she remained silent, afterwards denying she was stationed there at the time. Carey and Schmitt then approached Dennis the next day, to test his reaction to their new candidate for Nurse X. Providing only her first name of “Mary,” Dennis quickly responded, “Oh, Mary Lowe. Yeah, she knows everything.” Evidently, Lowe and Dennis knew each other very well. The next day, Dennis retracted his statement. “About yesterday, forget what I said about Mary Lowe. I was mistaken. She doesn’t know anything!” Carey and Schmitt suspect Mary Lowe erroneously blamed Dennis for outing her existence, called him on the phone soon after her interview with Wendy Connors, and told him to shut up, causing Dennis to retract his story. Since then, both Lowe and Dennis have refused to talk about it. Lowe is now believed to be dead, the reason Carey and Schmitt revealed her existence in their 2009 expanded edition of “Witness to Roswell” (pp. 149-151). Schmitt also confidentially told me the story of Lowe and Dennis several years ago, and I have only added it now that she has been made public. 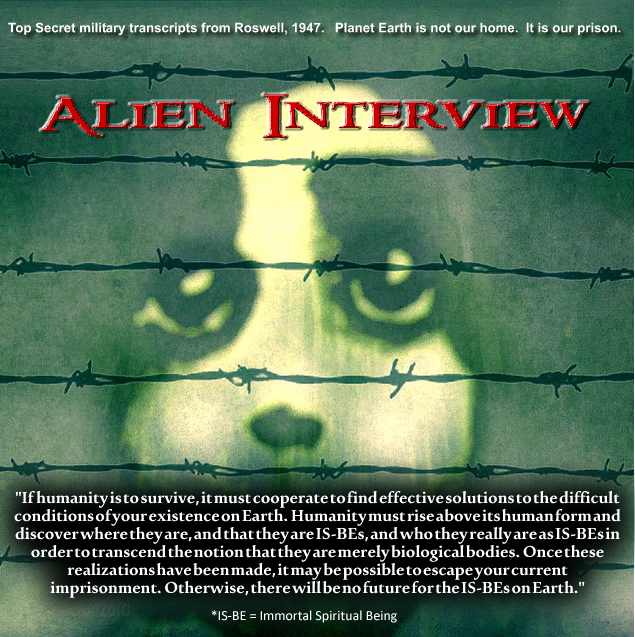 This video is an conversation between Sherri Fisher and Rhonda Paolo, hosts of “Open To Suggestions” internet radio show, with Lawrence R. Spencer, Editor of Alien Interview on June 6th, 2015.